It is the classic scene, a 4wd stuck on the trail and there are five people attempting to help, four of whom have no gloves on at all, and the one person that is wearing gloves has a loose-fitting, oversized pair that came with their $29 recovery kit. 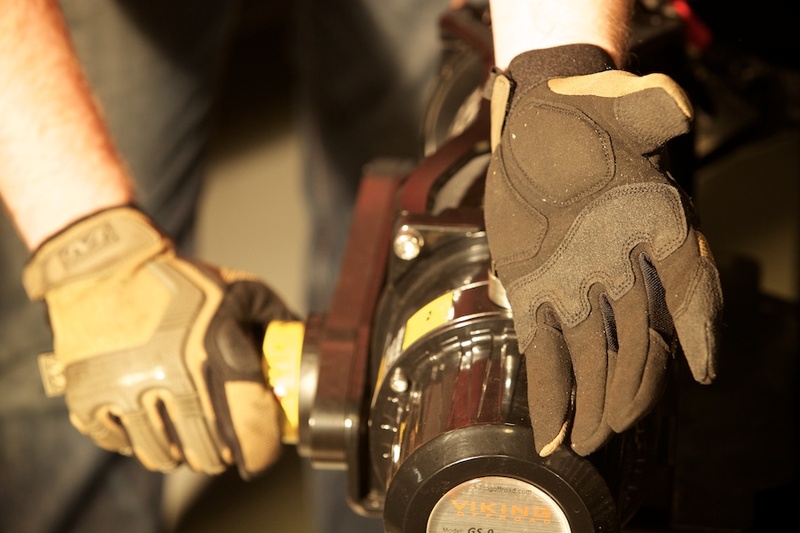 In the field, gloves play an important role, protecting the operator’s hands from the elements and safety hazards, all while hopefully being comfortable and providing sufficient dexterity. After a few decades of fieldwork, we have determined what our best practice is for glove selection – what works and takes the best advantage of modern tools, materials and techniques. Why Utility Gloves? 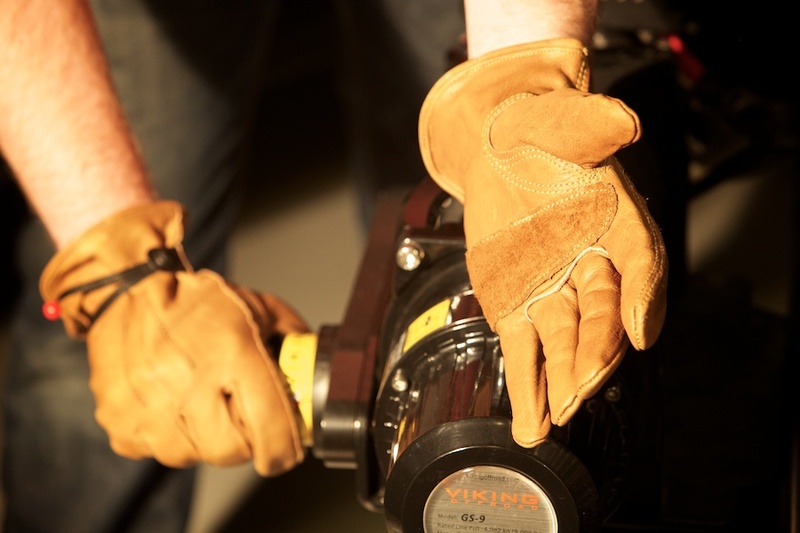 The primary function of a work glove is safety, helping to protect your hands from abrasion, heat, sharp objects and impacts. An adventure of several years or even a day trip on a 4wd trail is filled with hazards, particularly when working around camp, on the vehicle, or while conducting winching/recovery operations. 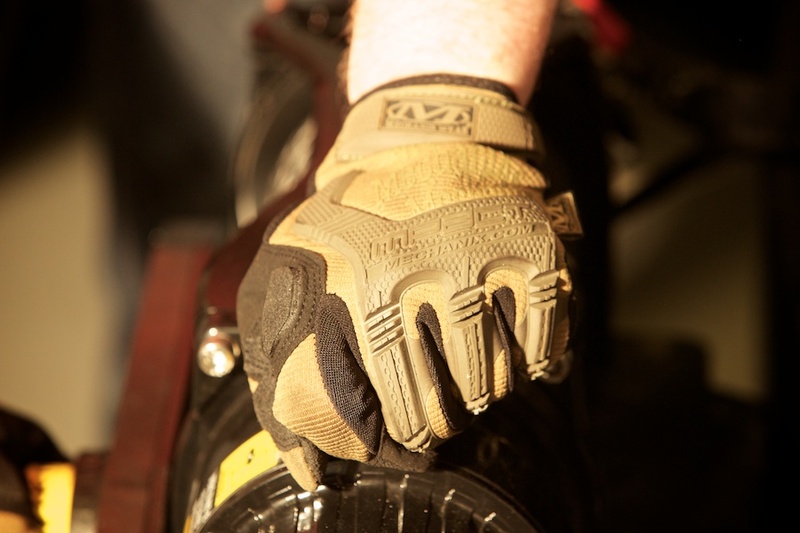 Every vehicle should have at least one pair of high-quality work gloves, with a minimum of one pair for every occupant that might assist with a recovery scenario or work with their hands around camp. 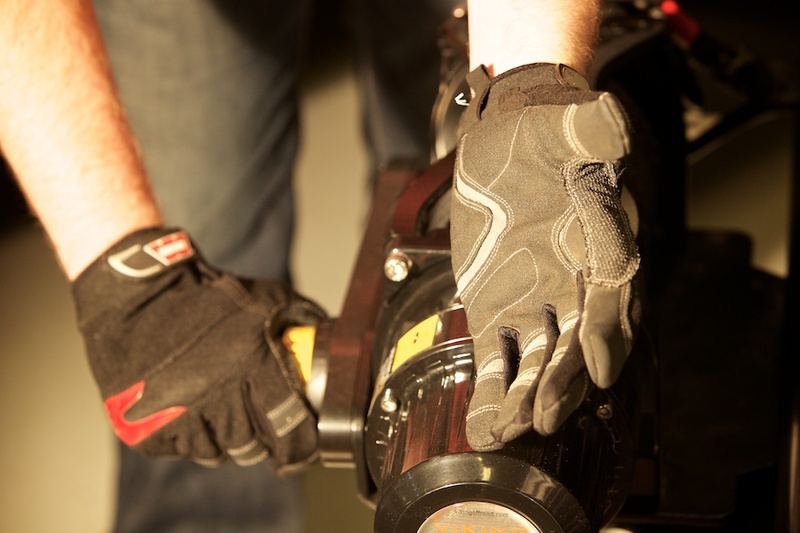 The right pair of gloves can work for nearly every scenario, including operating a chain saw, driving the vehicle, pulling winch line or setting a PullPal. 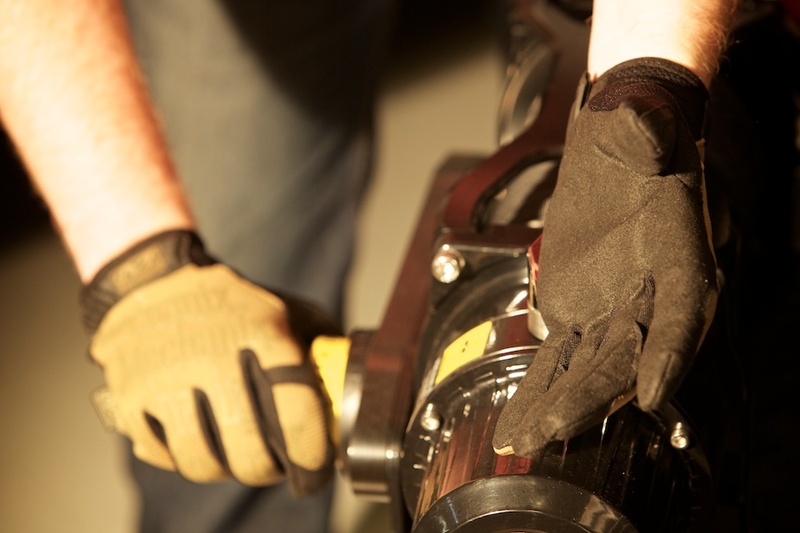 Gloves are not a substitute for good safety practices and techniques, but are part of being prepared and using the appropriate equipment for the job. Again, gloves should be fitted anytime there is a potential hazard, even something as simple as moving a downed tree branch, rolling a rock in front of a tire or splitting logs with a hatchet. Safety first! Construction and Fit: Fit with utility gloves is critical. 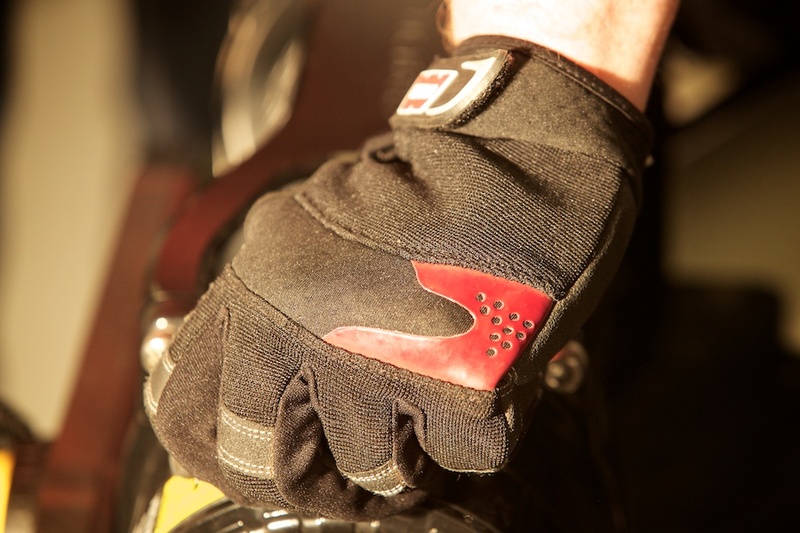 Long gone are the days when using a loose-fitting pair of gloves is recommended, that practice falling out of favor about the same time as using choke-chains around live trees and Holley Carburetors. Some subscribed to the idea that a recovery or winching operation required an oversized and loose fitting glove with an open gauntlet to allow the glove to be easily pulled from the hand in a pinching hazard. Well, there are two significant issues with that theory: 1. A loose fitting glove WILL get caught in nearly everything, and far more frequently than a proper fitting unit. That is the problem with a loose fitting glove; it has extra material and makes it difficult for the operator to manage the size of the glove and pathway of the material. 2. Operation of the equipment should not result in a hazard. Proper technique is to set all rigging and connections without a load, and the operator should not be conducting winching or dynamic recoveries anywhere near a pinch or snag hazard. The same applies to HiLift and Tirford Proper assessment, rigging, inspection, cribbing, etc. will all eliminate the hazards under tension and operation. So the hazards that remain are cutting, impact, abrasion, etc., which all benefit from a proper fitting glove. Avoid loose fitting gloves like these – the extra material and loss of dexterity just result in the pinching hazard they are attempting to protect against. A brief review of other commercial and recreational environments where rigging, connections, pinch hazards, etc. exist, they all specify and use a form fitting glove. This is true of aircraft loadmasters as much as it is for technical climbing. 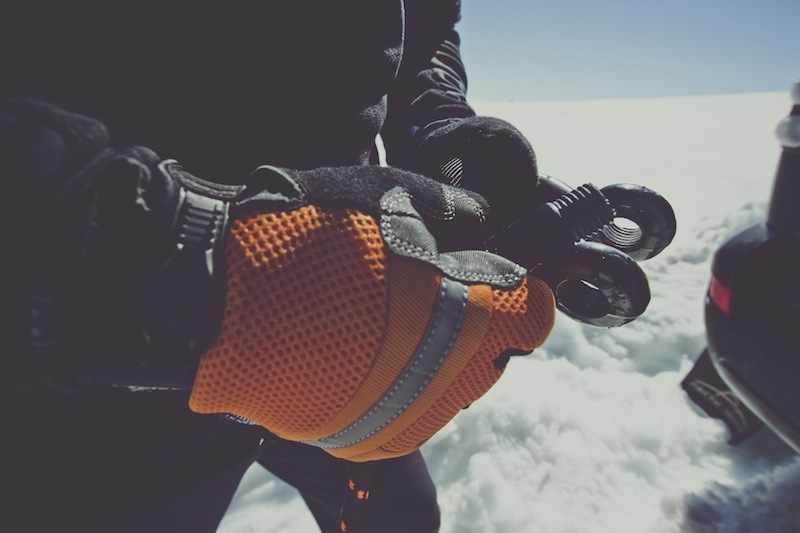 A review of the attributes consistent with ice climbing gloves, mountaineering gloves, etc., all where maximum protection and dexterity is required demonstrates the importance of fit. Climbers and load masters all deal with ropes, cables, pulleys and connection points. Leave those loose fitting gloves to your grandma’s garden. . .
For construction, we have found that a (primarily) leather construction provides the best compromise in protection and dexterity, particularly when combined with additional wear panels and variations in material thickness. Synthetic and rubber gloves continue to improve, but heat is the enemy, as is abrasion. The best combination is a leather palm with synthetic panels for moisture wicking, also incorporating rubber protection elements to reduce injuries on the knuckles and soft tissue at the back of the hand. 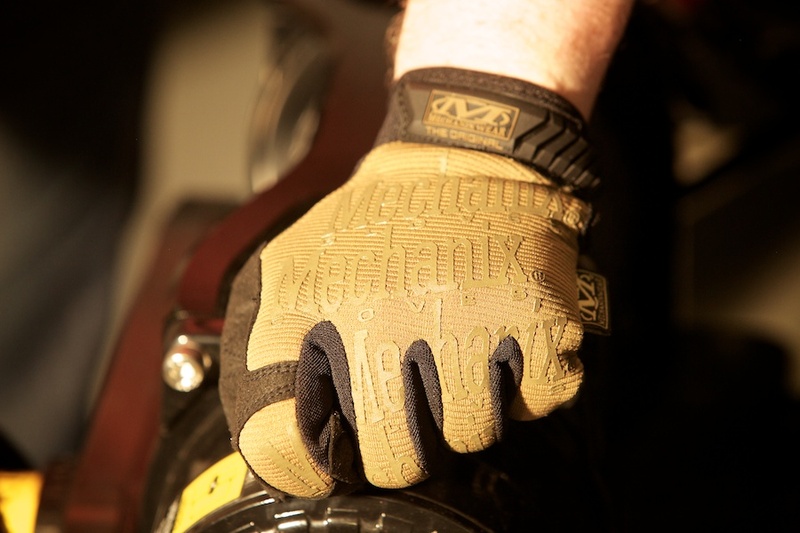 The Original Mechanix Wear gloves provide minimal protection, but maximum dexterity and sensitivity. 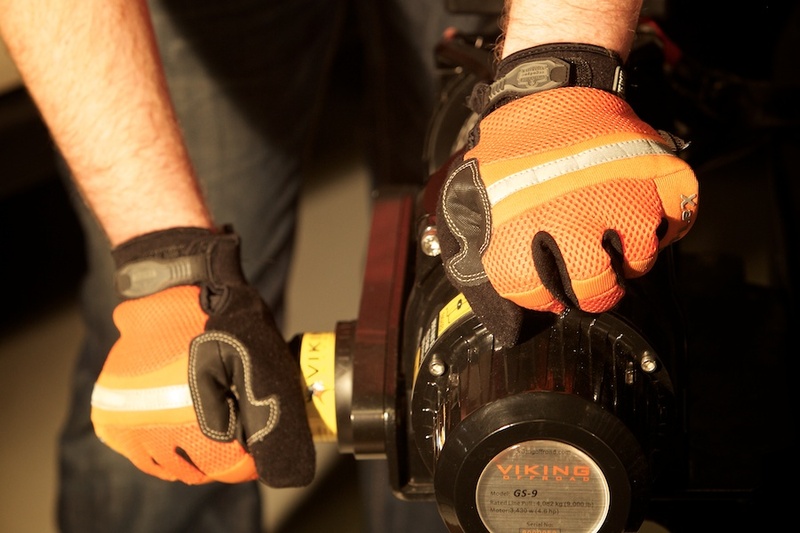 In nearly all recovery scenarios, these gloves are barely acceptable, principally if abrasion or cutting hazards exist. The glove is made from simulated leather comprising nylon and polyurethane (Palm) and knitted fabric comprising 99% nylon and 1% spandex (back). 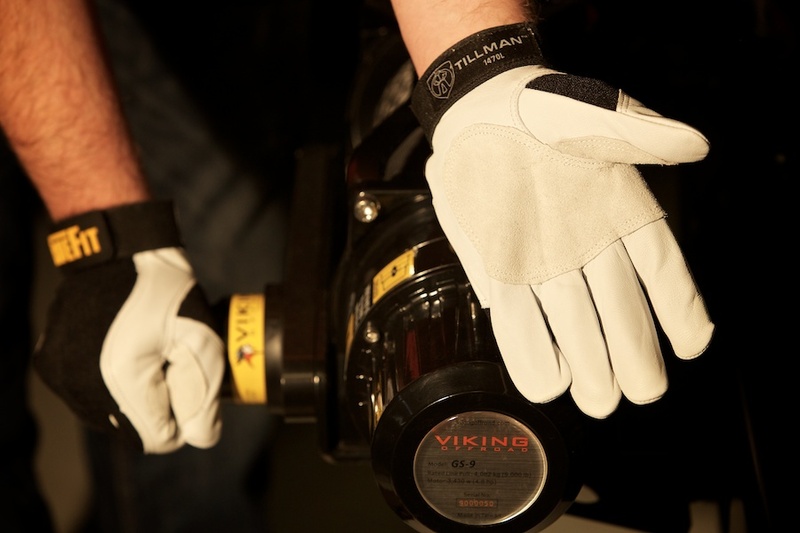 These gloves can serve as light work gloves and driving gloves, but little else. These gloves are quite popular, particularly with military units, and for good reason: High breathability and effective impact protection. 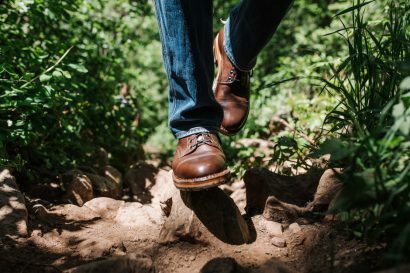 They are adequate for recovery operations and general trail work, but will ultimately lack the durability and heat/fire protection for long-term use on extended trips. We bought this pair from True Value, a local hardware store, but gloves like this are available just about everywhere. So this is not a review of a particular brand (these are Wells Lamont), but an overview of the important characteristics. For material, cowhide, elkhide and bisonhide all have advantages, but a thicker, stronger hide is a good place to start. Stitching comes next, with an inspection of the seams, particularly at the fingertips. Look for double-stitching where appropriate and an additional wear panel at the palm for abrasion resistance. The cuff should also have a means of closing around the wrist to help prevent dirt/mud/snow from coming into the glove. 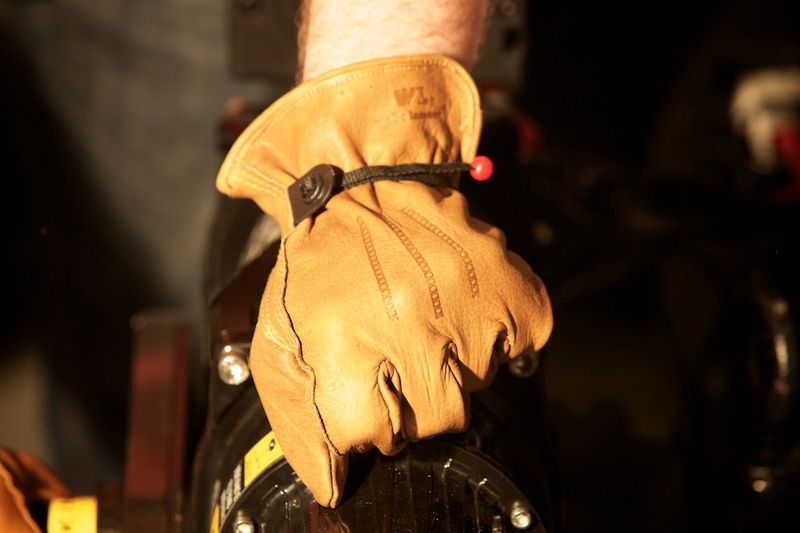 Don’t underestimate the standard leather work glove as a good, value option. We often travel in cold environments, so a proper recovery glove with insulation needs to be part of the lineup. This Ergodyne glove is the best example we have used, with high visibility, Thinsulate 40-gram insulation, reinforced palms and effective dexterity/sensitivity. These are the gloves we use for all conditions ranging from 0-60F and sometimes below zero. 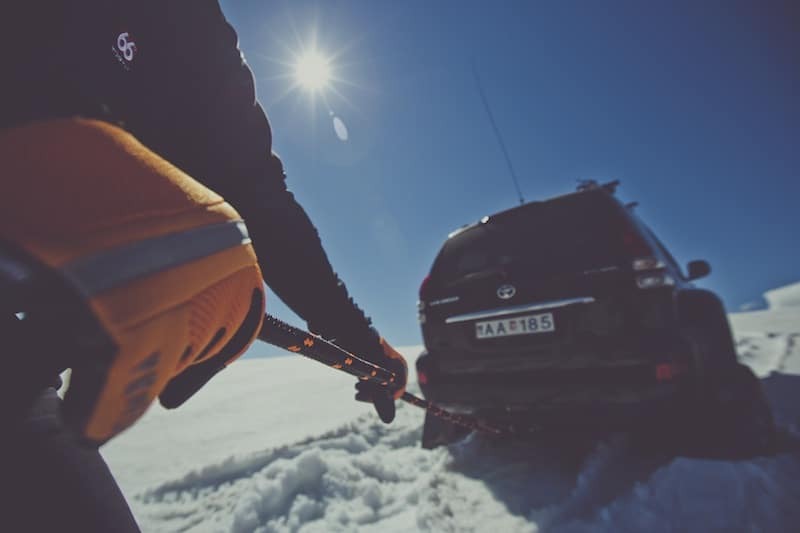 We crossed the largest glacier in all of Europe using Land Cruisers on 44” tires and these were the gloves of choice. They are effective for driving and all recovery operations. They are high visibility with a bright orange back panel and reflective tape. 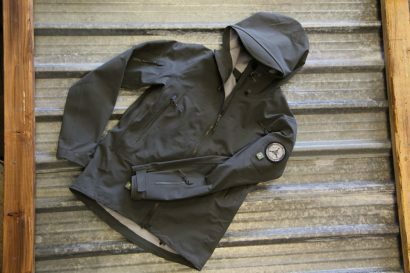 They have limited heat protection, given the all-synthetic construction. At $25, they are a bargain. 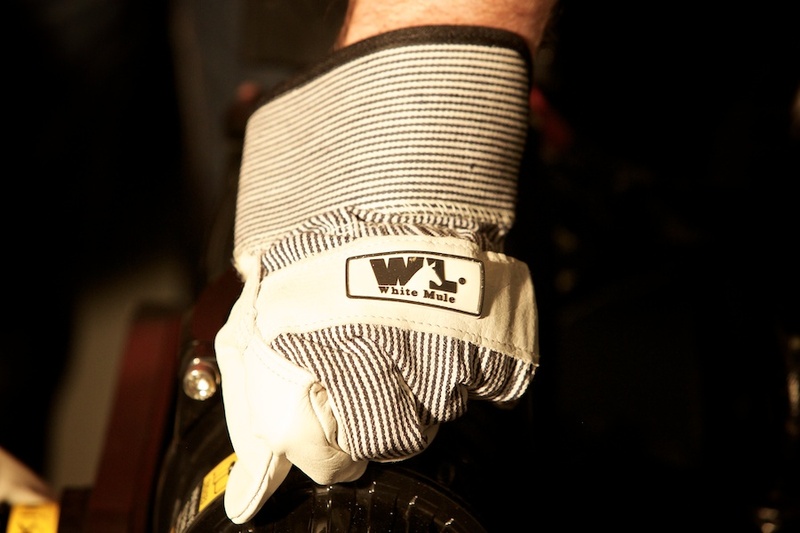 Warn knows recovery, and their newest gloves reflects their experience. This form fitting glove has a breathable back panel and a terry cloth thumb panel. On the palm, the glove is all business with generous protection and a Kevlar reinforced wear panel. Padding is provided at impact points, while articulation channels allow for good dexterity and range of motion. These gloves are comfortable to wear, although I found the fingers to be a bit longer than others. 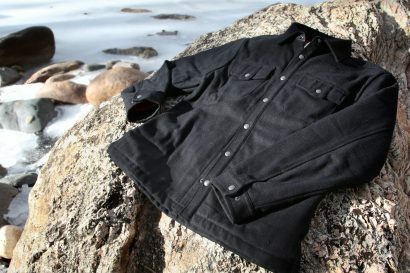 Heat/fire protection is limited with the all-synthetic construction and the all-black color makes visibility a challenge with marshaling/spotting operations. 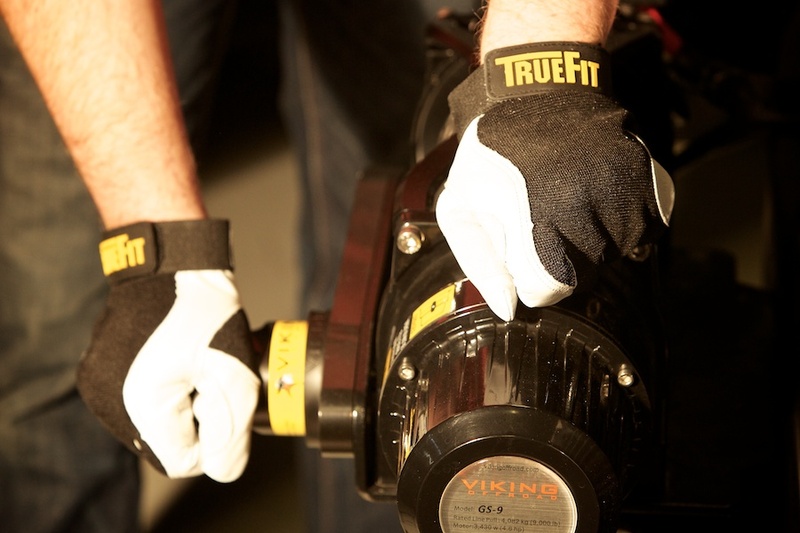 The TrueFit is an ideal warm/moderate weather recovery glove, ticking all the important boxes for fit, materials, quality and visibility. Made from top grain goat skin, the palm also includes a suede panel for improved abrasion resistance and grip. The fit is snug, providing good dexterity and sensitivity, but the leather material still offers adequate protection. The back panel is black spandex, but lined with cotton for comfort. With the white leather, visibility of the palm is excellent, but the black rear panel only shows visibility from the leather at the fingertips. This is a lightweight recovery glove that performs well in warm climates while still offering excellent abrasion, cutting and heat protection. Impact protection is limited, but at only $15, this glove is the runaway value champion! Made in the USA option: $50 (Made in Washington State) Looking for a pair of gloves to will to your son? 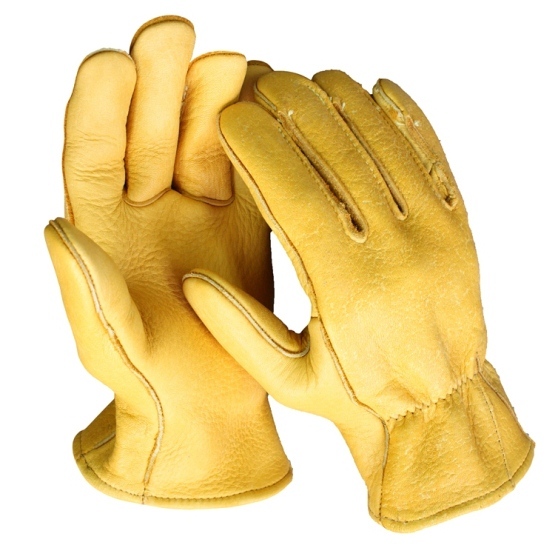 These Churchill elk and/or goat skin work gloves are handmade in the USA and will just look better with age. I know what I want for Christmas. . . Editors Note: Curious what gloves we use below zero? 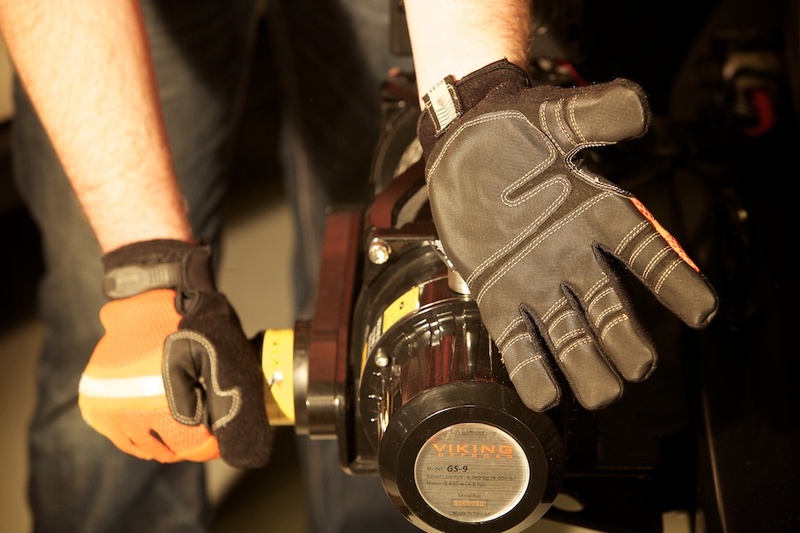 Forum discussion on winch, recovery and work gloves: What gloves do you like best?